Often referred to as “the imaginary meal” Fexaramine is a diet pill developed in America by researchers at the Salk Institute for Biological Studies. The institute takes its name from the medical researcher and virologist Jonas Salk, who founded it in 1960 and is probably best remembered for creating the first successful polio vaccine. Salk died in 1995, but the institute he established continues to research many diseases and health problems including, Alzheimer’s disease, diabetes, autism, and AIDS. It is a highly reputable non-profit organization that hopes to aid humanity rather than make a profit, so Fexaramine is a product that deserves to be taken seriously. Interest in Fexaramine as a weight loss aid first arose in 2003, when researchers at the Howard Hughes Medical Institute published a paper highlighting the possible benefits it may offer. Since then the Salk Institute has conducted further research and when the institute made its findings public in early 2015, the mass media took note and hailed the possible creation of a new wonder drug. What is Fexaramine and how does it work? Fexaramine is an investigational compound that stimulates a bile receptor called farnesoid X (FXR) that controls the production of bile acid and its transport around the body. FXR is also responsible for lipid (fat) metabolism. In the normal course of affairs the receptor is usually triggered when a meal is being consumed and the presence of food is detected in the gastrointestinal tract. Several pharmaceutical companies have already developed drugs that trigger FXR, but side effects are always an issue. Evans and his team believe the side effects are due to the triggering process being initiated too soon. Fexaramine triggers the process when the pills arrive in the intestines. This is much later than similar drugs, but the delay ensures no other organs are affected. Evans and his team of researchers have already tested Fexaramine on laboratory mice and the results were promising. Use of the drug caused a slight raise in body temperature; and white body fat, which is generally considered the most dangerous, was converted to brown fat, which is known to be a more healthy kind of fat to carry around. A drop in blood sugar was also recorded, as was a drop in cholesterol. Although no human studies have been conducted yet, Evans is confidant similar results will be obtainable because, like mice, humans are mammals and all mammals utilize bile acid in a similar way. 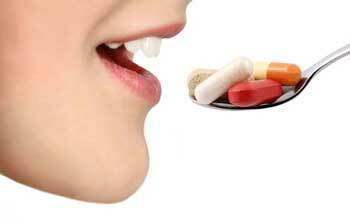 Studies are ongoing, so the optimum dosage has yet to be decided upon, but the pills contain only Fexaramine. Apart from a few necessary binders and fillers there are no other ingredients to muddy the water. So when Fexaramine does finally become available customers can be confident they are using tablets with proven abilities and, unlike the majority of weight loss pills, Fexaramine will not be laced with side effect-inducing stimulants. 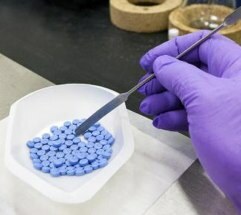 Evans and the other researchers at the Salk institute believe the fact that Fexaramine does not trigger FXR until it reaches the intestines will protect against side effects, but further clinical trials, including some human studies, are planned before the pill is made available to the public. This is a wise precaution, but bearing in mind the way the drug functions, and the lack of stimulants and other ingredients, side effects seem unlikely. 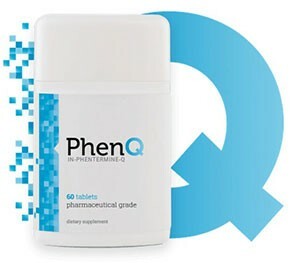 Our recommendation for the here and now is PhenQ, an alternative to Phentermine that can be purchased direct from the manufacturers website and does not require a prescription. PhenQ has been arguably the best selling commercial weight loss pill in many countries (the United States, Australia and the UK).